The Biggest Loser: The Workout - Weight Loss Yoga Just $7.82 (Reg. $14.98)! You are here: Home / Great Deals / Amazon Deals / The Biggest Loser: The Workout – Weight Loss Yoga Just $7.82 (Reg. $14.98)! The Biggest Loser: The Workout – Weight Loss Yoga Just $7.82 (Reg. $14.98)! Looking to start working out? I have a great deal on a workout DVD for you! 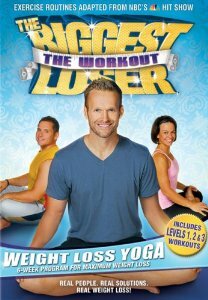 Head over to Amazon where you can grab The Biggest Loser: The Workout – Weight Loss Yoga for just $7.82, down from $14.98! And, shipping is FREE with Amazon Prime or Super Saver Shipping!